If you like a challenge, just try getting one of every date and size of American eagle, it's not as easy as it sounds. We have the following American Eagle bullion coins for sale by date. 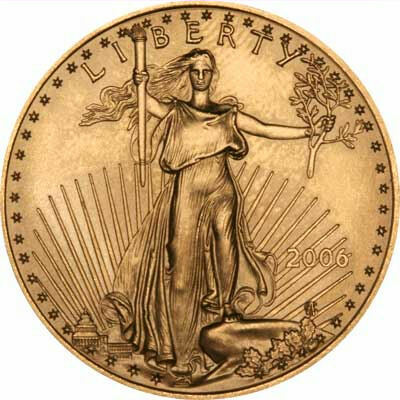 Because of EU reprisals against selective US import duties on steel and other goods, there was during most of 2004, a surcharge of about 17% on the import of many American items, including US gold eagles. 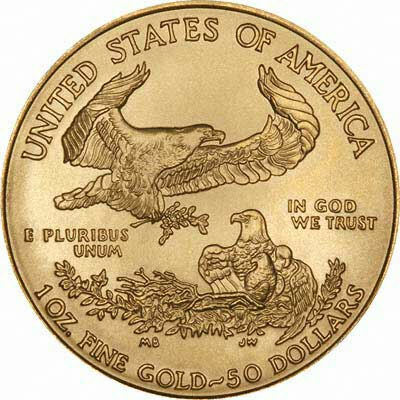 At the time, until those taxes were cancelled, we could not easily import new US gold eagles, and temporarily stopped offering them for sale. This page and its prices remained here as for indication only. This special tax has now been discontinued.